Let your window be more than a beacon of light…let it be art! With Diego Rivera’s “The Flower Lady” leaded stained glass window panel, it is a humbling tribute to those who work tirelessly every day. Carrying her burden of lilies, the flower lady is a colorful piece, one that reminds us there is beauty in more than flowers, but in the way of life we lead. 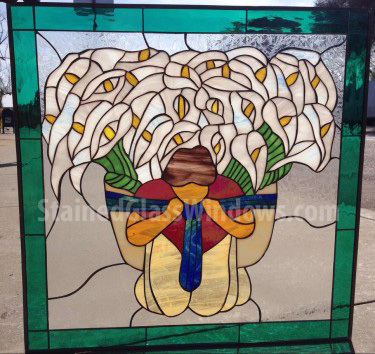 A stained glass window modeled from the Famous Diego Rivera painting “The Flower Lady”. This farm worker carries a bushel of calla lilies on her back. 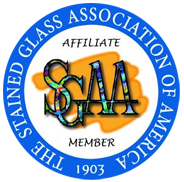 For a stained glass artist, this is a reminder that beauty is worthy of effort.